The Giant’s Lair Story Trail at Slieve Gullion Forest Park near Crossmaglen, Co. Armagh, is an innovative magical living storybook. The Trail takes visitors on an unforgettable journey of fairy house and amazing features creating a fantastical childhood land of mystery, dragons, giants, witches and fairies. Follow in the footsteps of Flynn the mischievous fairy, who has one important job – not to allow anyone to wake Slieve Gullion. It might look like a mountain but it’s really a sleeping giant! Drop in for a cup of dandelion tea, grab a seat at the Giant’s Table, stroll along to the Ladybird House and sneak a peek at local witchy trickster, The Cailleach Beara. Situated beside the Slieve Gullion Adventure Playpark, with car parking available. The Giant’s Lair is free to explore. The trail takes you into plenty of nooks and crannies so a backpack carrier or baby sling is recommended for tots. 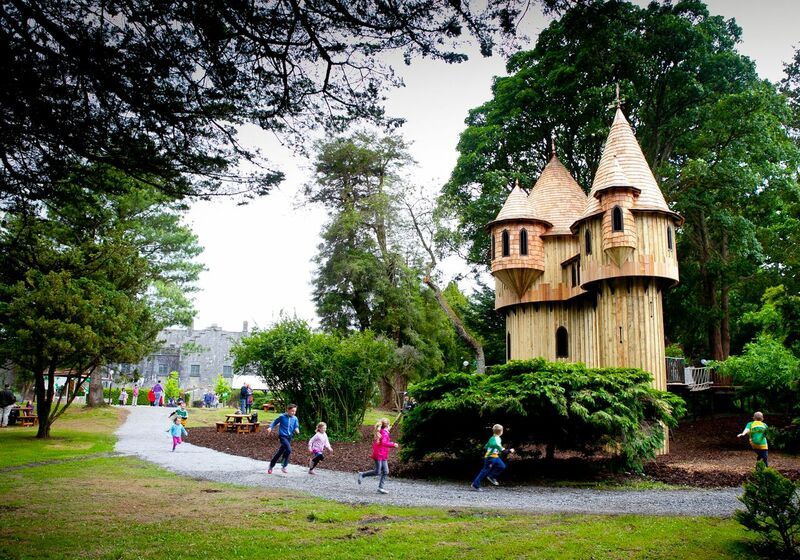 Squirrel Scramble at Kilruddery House is an adventure tree park that offers fun for all the family with more than 40 different challenges to climb, balance, slide and crawl. Zoom along the zip-lines through narrow passages in the woods for a thrilling adventure! 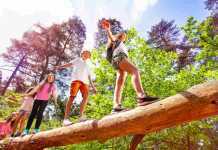 A family booking ticket costs €14.50 per person and allows you entry into Squirrel’s Scramble Tree Adventure Park for 1.5 hours. Bookings must be for minimum 4 and include at least one adult, children must be aged 5 and over. This fully restored, working, 18th century windmill is the oldest of its kind in Ireland. It is perfectly located to harness the winds sweeping over the plains of Elphin. Unusual features include its thatched revolving roof and four sails that are turned into the wind by using a tailpole attached to a cartwheel on a circular track. 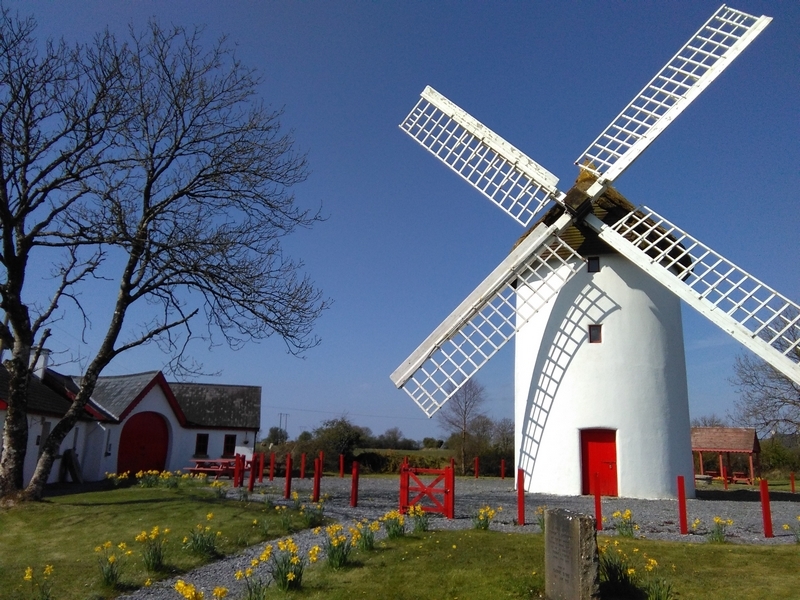 After visiting the Windmill, stop by the Farm Museum, where you will find a range of items connected to the windmill as well as miniature models of the Bishop’s Palace, St Mary’s Cathedral, and St Patrick’s Church on display. 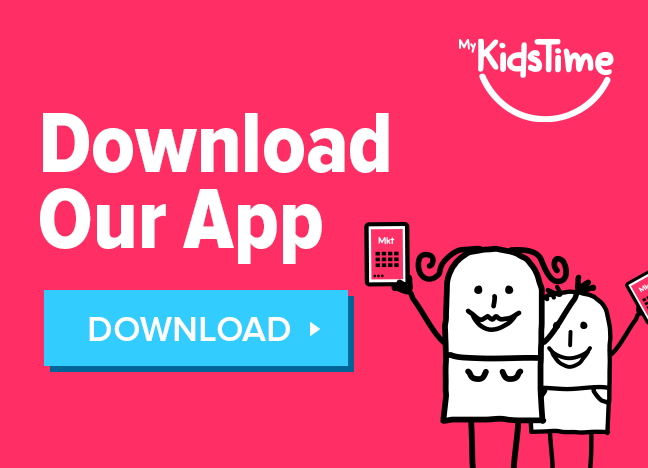 It’s open Monday-Friday 11am-3pm, and weekends by appointment, a family ticket is €12.00. From Strokestown, drive along the R368 to Elphin, then head west along the R369 for about 800m before heading north up Windmill Rd for around 1km to the windmill. The Lafcadio Hearn Gardens reflect the life and extensive wanderings of Patrick Lafcadio Hearn (Koizumi Yakumo), who grew up in Ireland, and whose life journey embraced several parts of the world. Learn about the life of Lafcadio Hearn through the Victorian, American, Greek and Japanese gardens. Children have their very own discovery trail with secret pathways through the woodlands with fairytales and folklore along the way. The gardens are open 7 days per week, weather permitting, 11am-5pm. Adult entry is €5 and children under 12 go free. 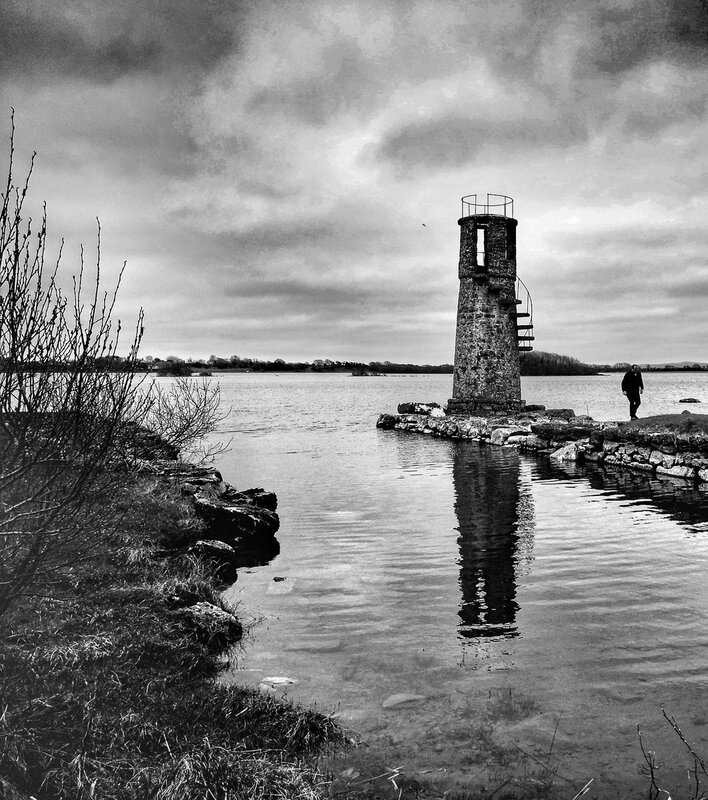 Ballycurrin Lighthouse on Lough Corrib in County Galway is said to be the only inshore lighthouse of its kind in Europe. It was built in the late 1700s by the local landowner Liam Lynch so that steamer that ran from Galway to Cong could make its way to his nearby Ballycurrin House with supplies. The Lighthouse is 22 foot high and has a mill stone as its roof. The uppermost section of the lighthouse would have been used to burn timber to create the beacon. To get there you drive to Headford, at Joyce’s turn left towards the Ross Errily L5666. Keep following the L5666 road to a sharp right turn where you’ll see a sign for Ballycurrin House. Turn in to the left and follow the road past the castle and main house. 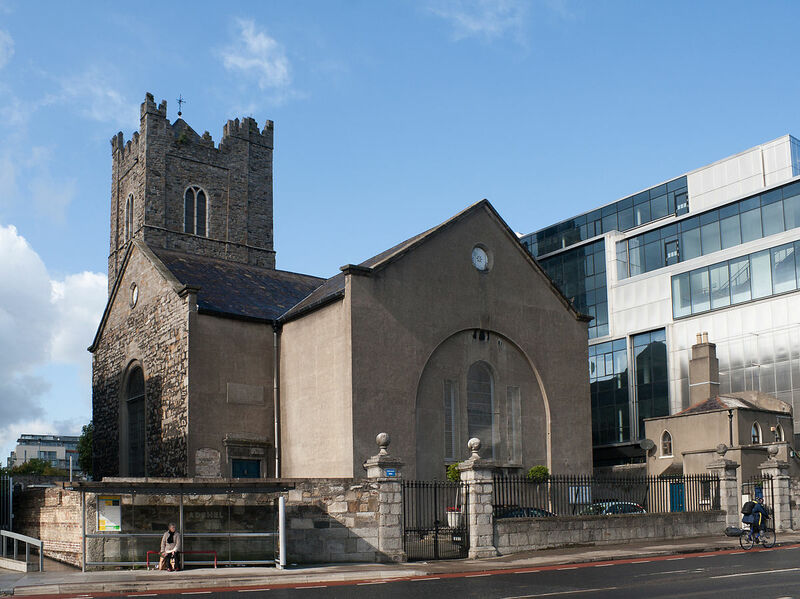 St Michan’s, which was founded in 1095, was the only church located on the northside of Dublin until 1686. The interior, which has changed little since Victorian times, still has its original organ. Another notable artefact is the Penitant’s Desk, commissioned in 1724 and used for public confession. Below the church are five long burial vaults containing the mummified remains of many of Dublin’s most influential families from 1600 to 1800. In the vaults, guests can view the death mask of Wolfe Tone and the coffins of the 1798 rebels John and Henry Sheares. There are fully guided tours of the vaults with a tour guide and a gift shop. 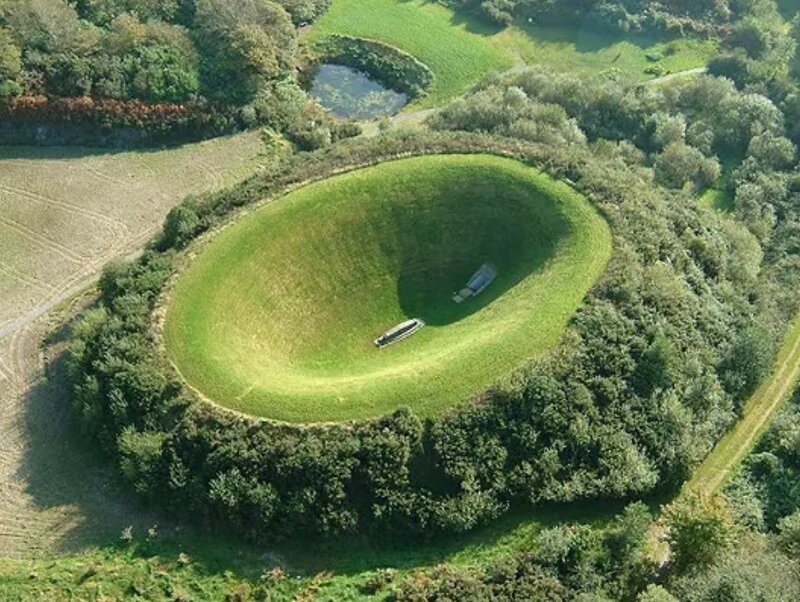 At Liss Ard Estate in Skibbereen, West Cork, there’s a most unusual garden called the James Turrell Sky Garden. It’s one of only two in the world designed by American sculptor James Turrell. Shaped like a bowl, The Sky Garden is set against the natural landscape of the Celtic Liss Ard, or “High Fort”. The design of this Garden allows, either in daylight or at night, for the viewer to truly experience the sky at that particular moment in time without any distractions or impediments. The Gardens are open to non-residents between 12 PM – 5 PM on these dates May 20, 23, 24, 27, 30, 31, and June 6, 7, 10, 13, 14, 17, 20, 21, 23, 27. To view the Sky Garden you must collect the key from reception and there is an entry charge of €5..
Everyone knows the Dead Zoo or National Museum of Ireland Natural History but did you know there’s a Dead Zoo at Trinity College Dublin? It’s actually the Zoology Museum, located on the first floor of the Zoology Building, and it is a unique, interactive experience for all ages. You can hold skulls, dinosaur material, shark jaws, elephant teeth and more. Museum guides are recent zoology graduates and are on hand to answer questions and show you some of the amazing museum specimens. The museum is open everyday from June to August from 10.30-16.00. Entry costs 3 euro for adults and 2 euro for children. NB Unfortunately the museum is not wheelchair accessible at the moment. Open seven days a week the National Reptile Zoo houses numerous reptiles from snakes to crocodiles. 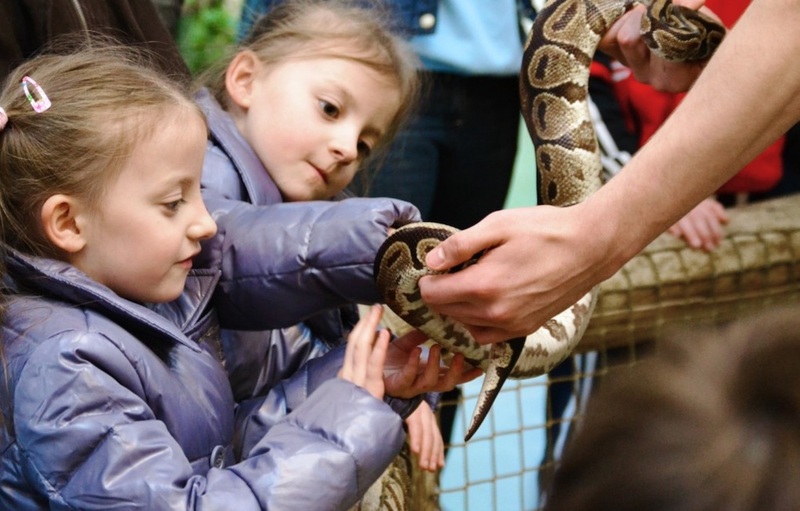 With animal encounters daily you can get up close and personal with some of your favourite reptiles. Why not hold or touch a reptile with the help of their trained wranglers? Family tickets cost €27 for two adults and one child (and €3 per child thereafter). 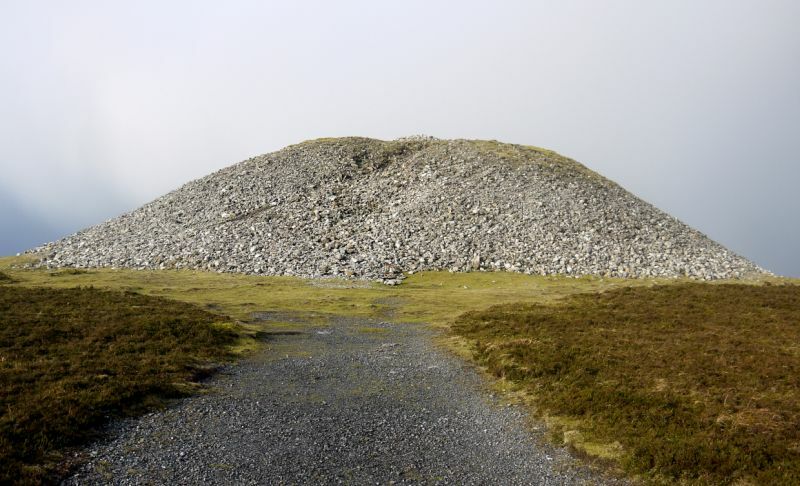 A 300m limestone hill sits in Knocknarea, Sligo and it’s believed that Queen Maeve, a figure from Irish mythology is buried inside. As the story goes, the fiery Irish queen Medb was felled by a piece of cheese flung from an expert’s sling. Although it features all the classic makings of a tomb, for now we don’t know if she lies inside or not as it remains of one the largest unexplored monuments in Ireland. You can climb the hill of Knocknarea and get breathtaking views of the surrounding countryside including Ben Bulben, Slieve League and other famous Irish landmarks. 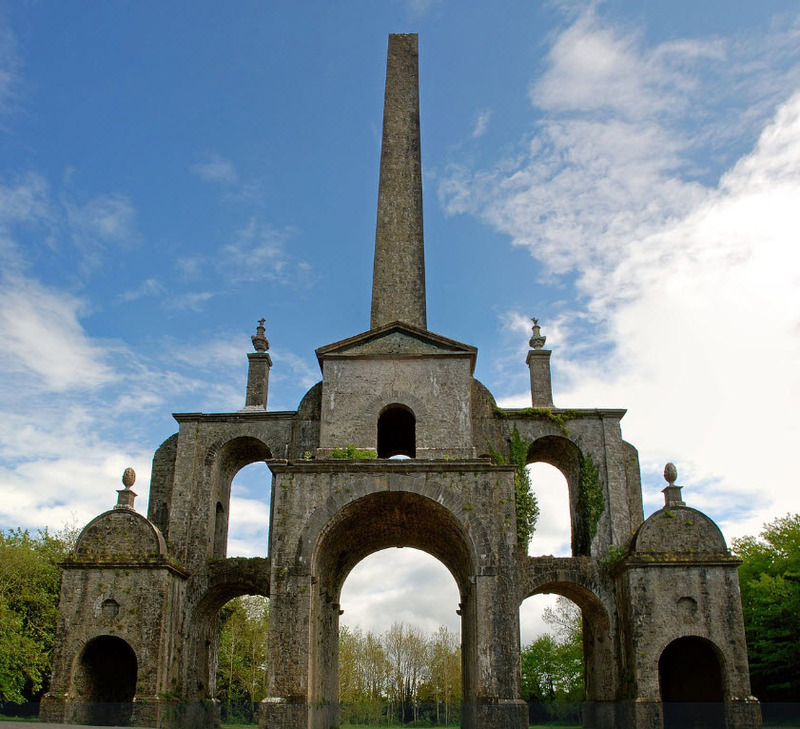 Conolly’s Folly stands on the grounds of Castletown House. The arches and obelisks are decorated with stone eagles and pineapples, and the central obelisk reaches a height of 140 feet. But the Folly’s physical characteristics are not the only ingredient that makes it unique. It was constructed in 1740 at the height of the Irish famine of 1740-1741. It was built so that the local farmers might make some money working on its construction and not starve. Katherine Conolly, widow of William Conolly, one of the richest men in Ireland, commissioned the folly. 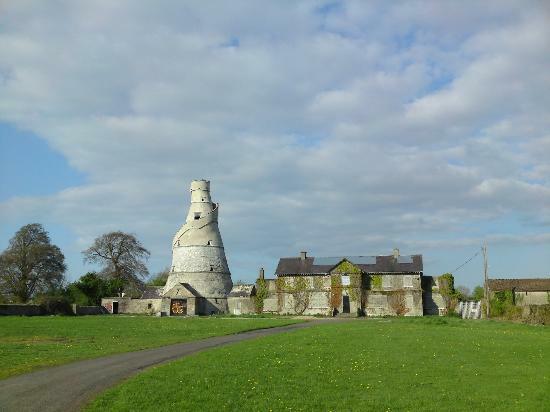 Also on the edge of Castletown Estate you will find The Wonderful Barn which is made out of rock and shaped like a corkscrew. Dating from 1743, no one is exactly sure what its original purpose was, maybe it was a dovecote, or some think it was a granary. The staircase goes around the exterior of the building, giving the building the look of a corkscrew, and ends on a flat roof, surrounded by a parapet. 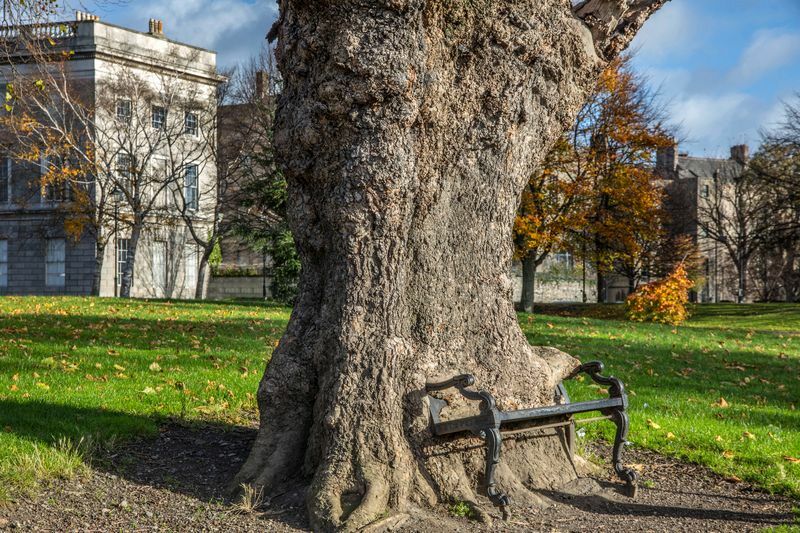 The Hungry Tree in Dublin which is located on the grounds of The Honorable Society of King’s Inns, Ireland’s oldest school of law, is an 80-year-old London Plane tree that’s currently in the process of literally “eating” a cast-iron bench. As the tree has grown, it has overtaken parts of the structure in its way. causing it to swallow the parts of the structure that stands in its way. Its gnarled bark now spills over the back of the bench, making it appear as though the seat is being sucked into the tree’s trunk. The grounds are open and accessible to the public, so you can visit The Hungry Tree for yourself! 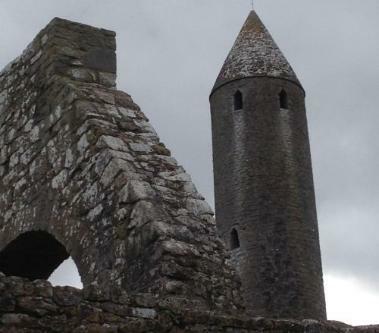 Did you know there’s a Leaning Tower in Galway? It’s actually St Colman’s Tower in Kilmacud, a short drive from either Gort or Kinvara. 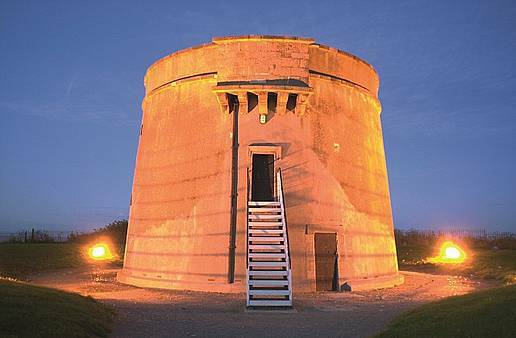 It’s notable not only as a good example of an Irish round tower but also because of its noticeable lean, over 2 feet from the vertical. The “Leaning Tower of Galway” is over 30 metres tall, with the only doorway some 7 metres above ground level and dates from the 12th Century. The round tower sits next to the original Cathedral building within the graveyard just down the road a bit from the car park. There’s plenty of room for kids to wander around and it’s enclosed so you don’t need to worry about them getting out on the road, quiet enough as it is. NB There are no facilites at the site, so head back to Gort or Kinvara for refreshments/toilets. the Aistear Labyrinth, a maze incorporating timber, stone and foliage which takes the visitor through an informative exploration of Irish Spirituality over 9000 years. There are seven spaces within the maze, each displaying contemporary relics and artifacts reflecting the beliefs of past generations. All artifacts have been replicated from original archaeological discoveries making it a fascinating heritage walk. In the village of Kinnity in County Offaly you’ll find the 30-foot high Kinnitty Pyramid, which is actually a burial tomb of six members of the once-owners of nearby Kinnity Castle. Inspired by a visit to the Egyptian Pyramids, the Kinnity Pyramid took four years to complete, finished in 1834. 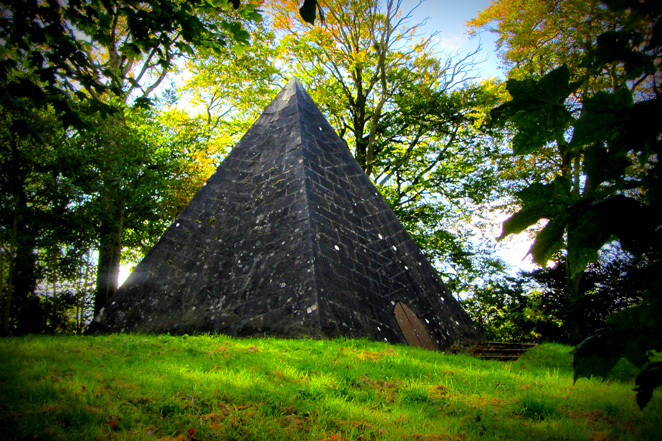 You will find the pyramid at The Kinnitty Church of Ireland in the center of the village on the Ballyshane Road. Enter the side of the church and walk to the rear, where you will pass through a tall iron gate. The pyramid is a short walk up the hill, through a very old graveyard. Remember to close any gates behind you as you come and go. 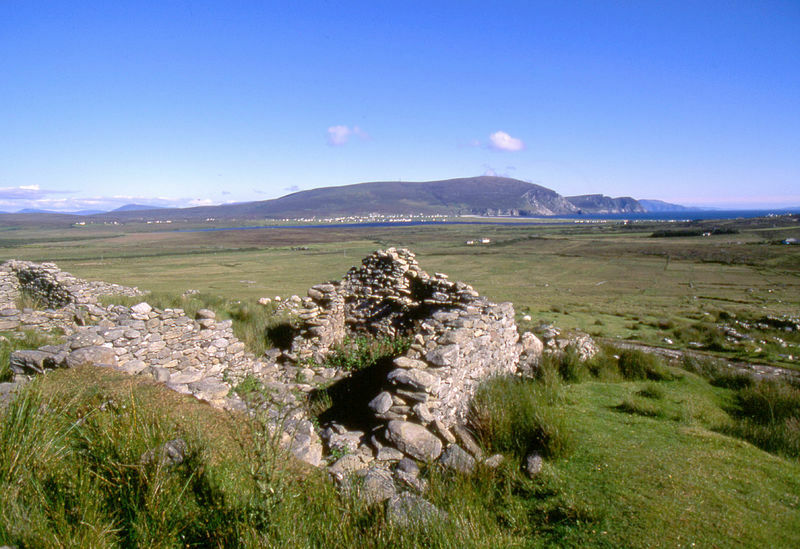 On Achill Island in County Mayo you can visit the Slievemore Deserted Village, it’s like stepping back in time. Along a stretch of 1km you will find the remains of up to 100 cottages and farms. The village was one of the longest running booley villages on Achill; booleying was the practice of living in different location depending on the season so that cattle could remain in grassy areas all year round. Slievemore was a good location in the spring and summer months so would have been busy during these times. 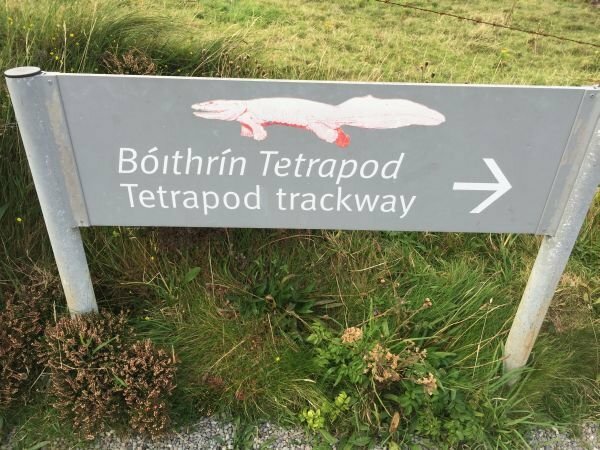 Did you know you can see prehistoric tetrapod footprints predating dinosaurs at the Tetrapod Trackway on Valentia Island? The island is at the end of the Iveragh Peninsula, more familiar to many as the location of the Ring of Kerry. On the island you will find one of only 4 sets of prehistoric footprints in the world! The footprints give an invaluable view of the transition of life from water onto land. Access to the track way is by a steep pathway down to the rocks. NB this is quite rocky as well as steep and won’t be suitable for buggies but kids will enjoy climbing down. At the bottom of the hill is an information plaque where you can read about the Trackway before you make the final descent towards the rocks at the beach where the footprints themselves can be seen. The Derrigimlagh/Marconi walking loop provides visitors with a five kilometre trail through an area of outstanding natural beauty within the Derrygimlagh bog complex. The walk is made all the more interesting by its historical claims to fame. The Derrygimlagh blanket bog, close to Clifden, is where pilots John Alcock and Arthur Whitten Brown crashed-landed in 1919 after completing the world’s first transatlantic flight. They landed close to a wireless telegraphy station which had been set up 14 years earlier by Italian inventor, Guglielmo Marconi. 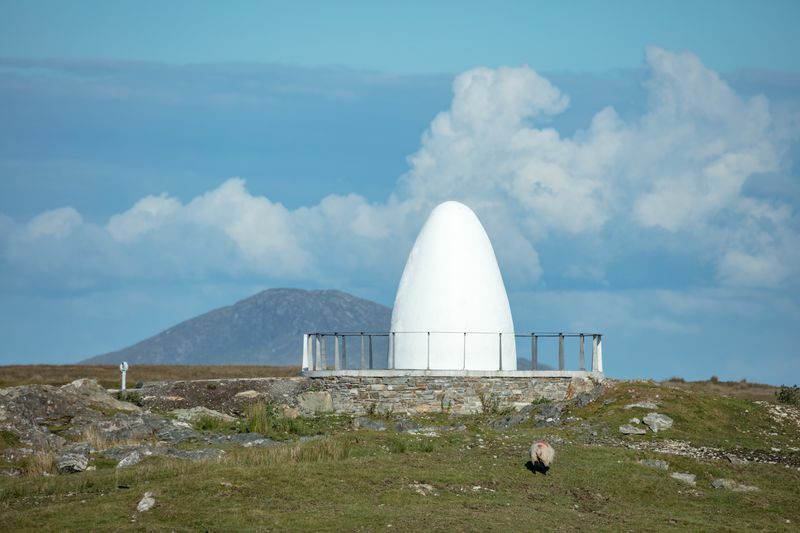 Today the location of the Marconi wireless station is home to a memorial cairn dedicated to the pair. You can hire bikes if you prefer cycling to walking. 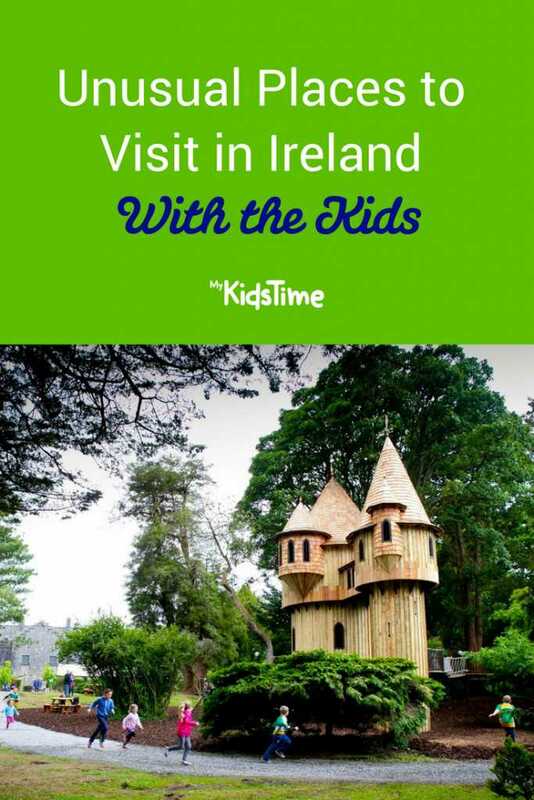 At Birr Castle Gardens kids will be amazed by the most spectacular tree house in the Treehouse Adventure area which also features a bouncy pillow, sandpits and a hobbit hut. And while they’re busy in the Treehouse Adventure area, Mums and Dads can enjoy a coffee. It’s the perfect spot for an afternoon of fun and adventure. 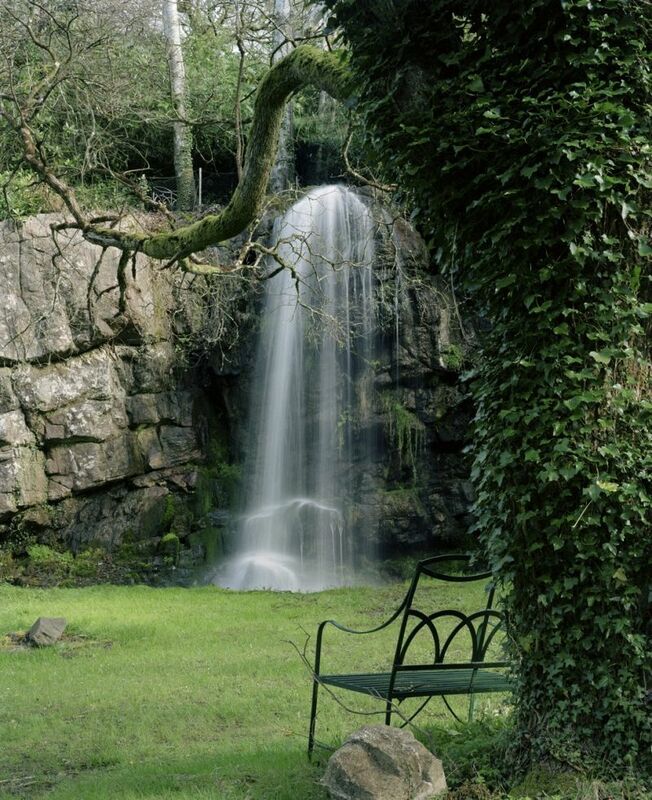 Birr Castle Gardens is also experience of discovery for the whole family – home to extensive gardens and parkland, as well as the Historic Science Centre and the Great Telescope of the 1840s, both worth a visit. 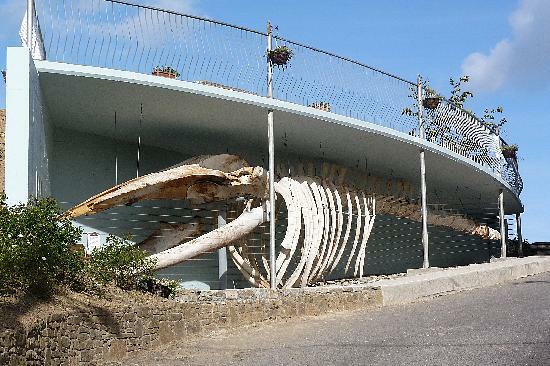 Visit the Kilbrattain Whale for a unique opportunity to see the entire skeleton of a fin whale which beached locally in January 2009. The whale is over 65 feet long with the jaw being 18 feet long, it really is an awe-inspiring sight. There is also a picnic area and it is a lovely area for woodland walks. You’ll also find a Slí na Sláinte walk nearby which takes you along the tidal mudflats which is a special area of conservation. Did you know that Charlie Chaplin brought his family on holiday to Waterville in County Kerry every year for ten years starting in 1959? 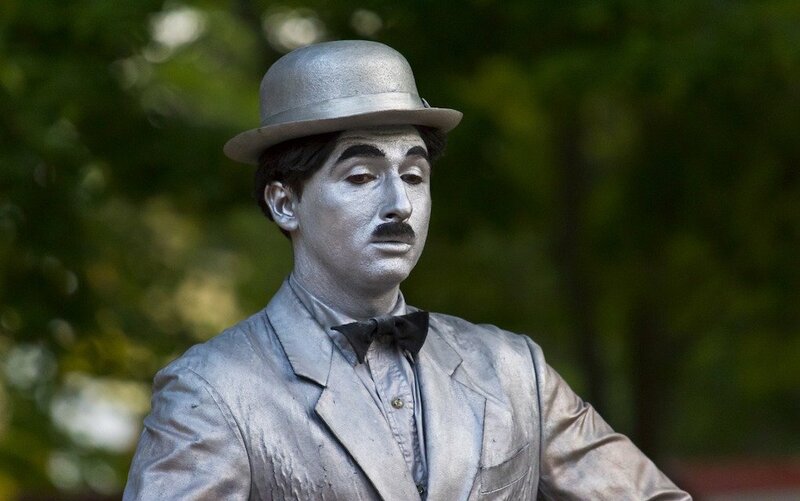 The actor became so beloved by the community during his brief stays, that they erected a permanent bronze statue of Charlie Chaplin and there’s an annual Chaplin film festival each year in the town. 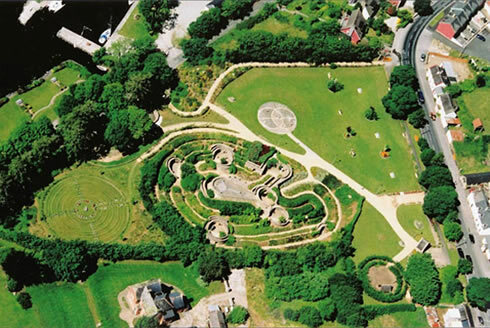 At Dunbrody Castle in Wexford you’ll find an intricate yew hedge maze made with 1,500 yew trees and gravel paths. 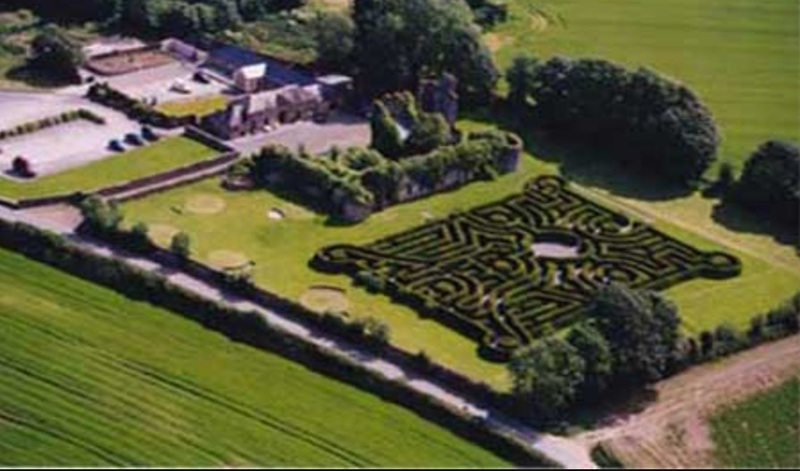 As it is one of the few large scale mazes in Ireland, it may take a while to puzzle your way and out! Around the outside of the maze lies a 9-hole pitch and putt course, you can hire clubs in the shop. You’ll also enjoy walks and a picnic area nearby. 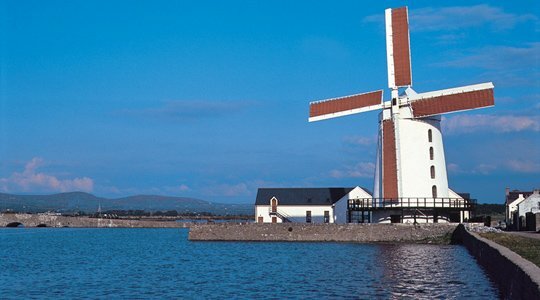 Blennerville Windmill stands in Tralee Bay, where Tralee meets the Dingle Peninsula. At the Blennerville Visitor Centre you will find the working Windmill – you can climb to the top – and audio-visual presentation as well as a model of the Tralee Dingle railway, an exhibition gallery, gift and coffee shop. There’s also a Bird Watching platform with a telescope overlooking Slí na nÉan (The Way of the Birds). Pat Herbert, the curator is always happy to demonstrate some of the many working exhibits. 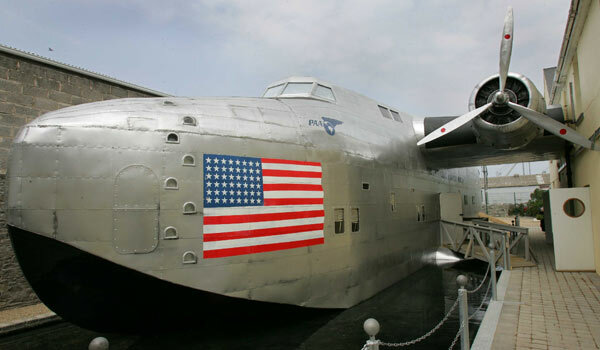 The Museum is open daily during summer months and on weekends during the winter. Go and meet Alpacas, curious and intelligent animals at Waterfall Alpaca Farm in Cork. As well as farm tours, they run Alpaca walks which take about 40 minutes, where you actually get to take the Alpacas for a walk! You can also meet the other farm residents, sheep, donkeys, hens, ducks and rabbits. Bring a picnic for after the walk and enjoy the gorgeous surroundings, picnic table and toilet on site. There’s also a self catering cabin should you fancy an overnight stay. The Jealous Wall at Belvedere was built c. 1760 as a result of a quarrel between Robert Rochfort and another brother George, the owner of nearby Rochfort House (subsequently re-named Tudenham House), now, alas a melancholy ruin. The Wall was built between the two houses as an artificial ruin of an abbey so as to exclude from Robert’s view the sight of his brother’s residence of which he was jealous. It is believed that the Earl went to enormous expense in constructing the ruin, to the extent of hiring the services of a celebrated Italian Architect Barrodotte to superintend its erection. Enjoy a visit to Belvedere House and Gardens afterwards, they also run events throughout the year including Easter Hunts, outdoor plays, Bat Walks and their famous Green Santa event in the run up to Christmas. 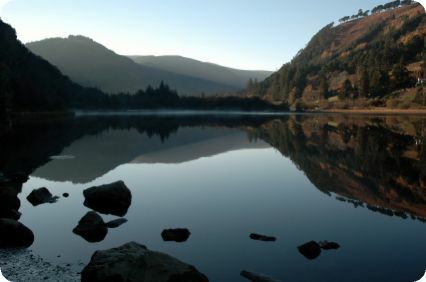 Glendalough (Gleann dá Loch, meaning ‘Valley of the Two Lakes’) is one of the most picturesque spots in Ireland. With two dark and mysterious lakes tucked into a long, glacial valley fringed by forest. There’s a 1000-year-old round tower, a ruined cathedral and the tiny church known as St Kevin’s Kitchen. It was founded in the late 6th century by St Kevin, a bishop who established a monastery on the Upper Lake’s southern shore. 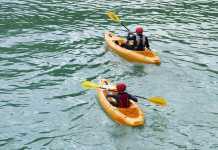 Amenities include toilets and disabled toilets, self-guiding trail, outdoor picnic tables, extensive lawns. Paid car parking in operation. Made famous by being included in a scene in Game of Thrones (when Arya Stark disguised as a boy travels in a cart north on the King’s Road) this striking avenue of beech trees was planted by the Stuart family in the eighteenth century and was intended to impress visitors as they approached the entrance to their Georgian mansion, Gracehill House. 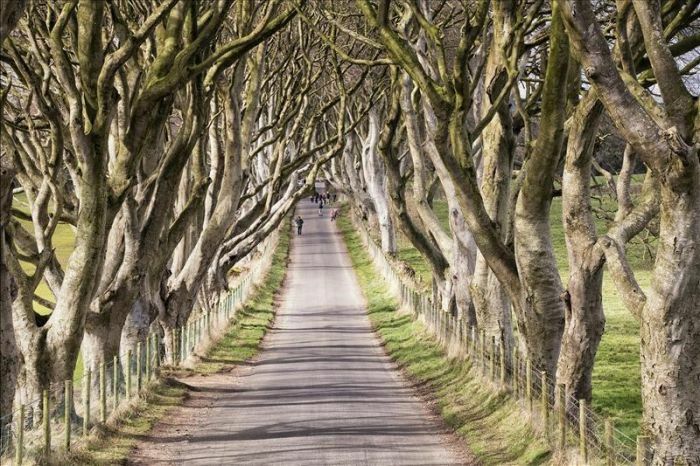 Two centuries later, the trees remain a magnificent sight and have become one of the most photographed natural phenomena in Northern Ireland. There’s free parking at Hedges Estate Hotel nearby, with the Dark Hedges a short walk away. Follow in the footsteps of giants at the Giants Causeway, flanked by the wild North Atlantic Ocean and a landscape of dramatic cliffs. 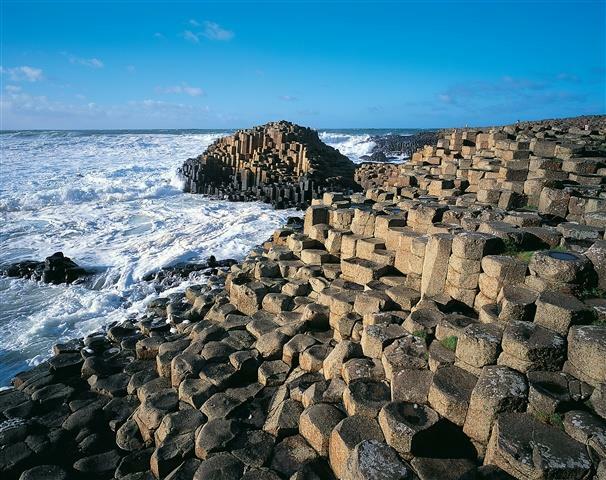 The Grand Causeway is the largest of three rock outcrops which make up the Giant’s Causeway. These collections of curious columns contributed to the causeway being designated Northern Ireland’s only World Heritage Site by UNESCO in 1986. Enjoy the Visitor Centre, then be sure to follow the small path leading towards the sea which takes you to what is perhaps the bay’s most famous feature – the Giant’s Boot. Then stop at the Wishing Chair, a natural throne formed from a perfectly arranged set of columns. Then peek out at Finn McCool’s Camel, the only steed capable of carrying the giant across long distances, now turned to stone. The Camel is actually a basaltic dyke, formed from cooling lava which has pushed its way through other layers of rock. And for the very active, take the Cliff-top Experience, a fully guided 5-mile hike from the ruins of Dunseverick Castle along the cliffs high above the causeway. 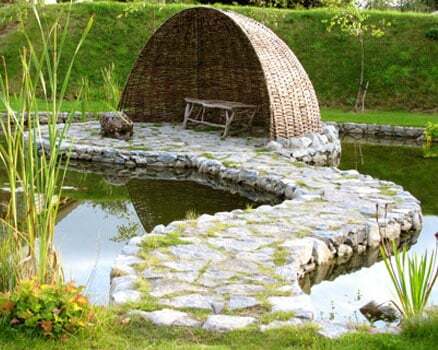 Terra Nova Fairy Garden near Kilmallock is a beautifully designed and richly planted, award winning garden set in the Golden Vale of Co. Limerick. 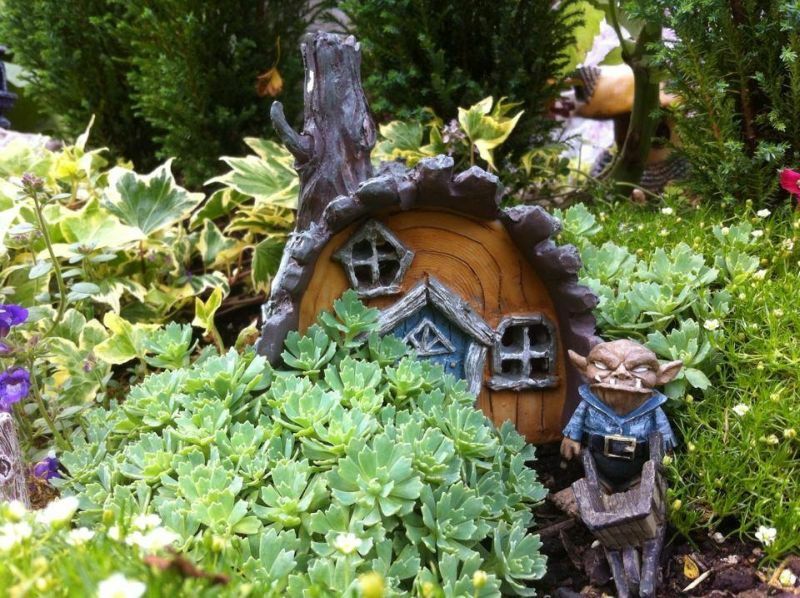 Packed to the brim with plants and personality, come and meet the fairies and feel the magic for yourself. Kilfane Glen and Waterfall is romantic garden dating from the 1790s. Untouched for 200 years, it is a picturesque paradise with a waterfall tumbling its way to a rushing stream and woodland paths leading to a cottage orné. Tiny bridges sit among ancient trees, wild foxgloves and ferns. The garden is open to the public daily from July 1st to August 31st. 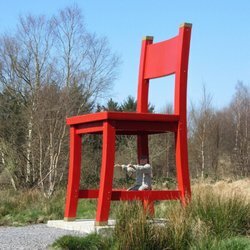 Follow the Giant’s Walk around Clare Lake in Claremorris, Co Mayo and you will see a towering yellow door, a red chair that belongs in the world of Roald Dahl’s Big Friendly Giant and an enormous set of keys that can never be lost, dangling from a random tree. Val Robus of Magnumlady.com recommended the Woodland Walk at Strokestown Park, it’s a gentle stroll through the woods to spot a worry tree, a wishing tree and a rag tree. 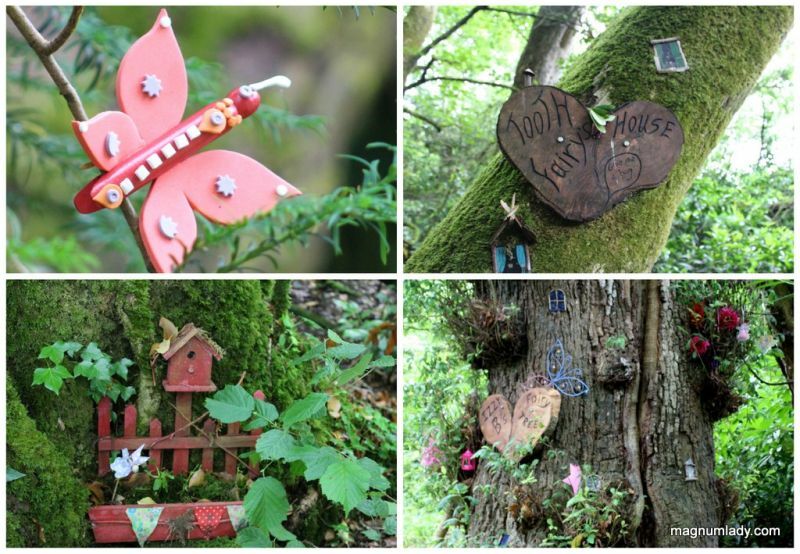 You’ll find evidence of fairies are all around the woodland walk, some of the trees even have faces! 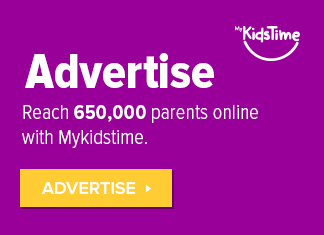 It’s the perfect place for children of all ages. Look out for the sculptures created by local schools as part of a creative sculpture competition. 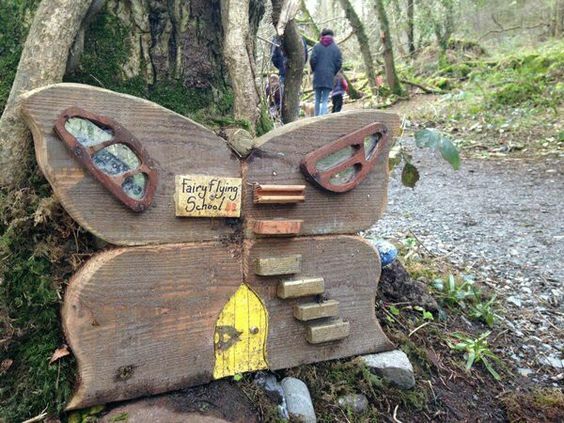 Erica’s Fairy Forest in Cootehill, Co Cavan was created by her parents Natasha and Ciaran to honour Erica’s memory and her unshakable belief in fairies and magical kingdoms. It is also a thank you to the people of Cootehill and surrounding areas whose love and support was never ending throughout Erica’s journey. Over to you now. Have you been to any of these unusual places to visit in Ireland? Tell us in the comments below.